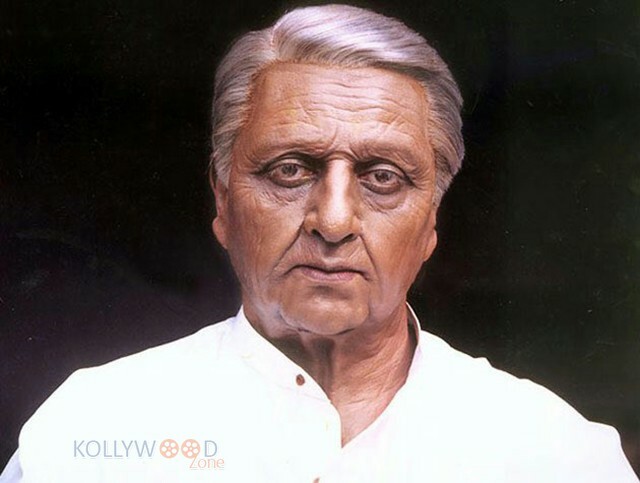 Kamal Haasan has recently signed on to play the male lead in ‘Indian 2’ which will be directed by Director Shankar. The shooting of this movie was scheduled to begin from December 14th onwards, but the shooting has been stopped because of delay in constructing majestic sets for the mega production. The shooting dates have been shifted to mid-January 2019. This is the sequel to the duo’s box office hit film ‘Indian’ released in the year 1996. The movie is produced by Lyca Production and Anirudh Ravichander is composing the music for the film. The production design is handled by T.Muthuraj and the cinematography by Ravi Varman. Till now, Kajal Agarwal has been confirmed to play the female lead and she has started to vigorously train for her character learning Varma Kalai and Kalari. Meanwhile, the lead actress of the movie, Kajal Agarwal has shared a video in which she is seen studying Kalari from a book. This is related to the fact that Kamal used Varma Kalai (an ancient Tamil martial art) in ‘Indian’ to decapacitate his enemies in a fight. There is also a buzz in Kollywood that Dulquer Salman and Simbu are going to play important roles in the movie and the official announcement can be expected by the time of the New Year. This famous actress overtakes Nayantara!